GATWICK, UK, 2018-Nov-09 — /Travel PR News/ — Gatwick today (05/11/2018) announced the latest round of Gatwick Foundation Fund grants to five projects across Sussex that support young people, the elderly or vulnerable and disadvantaged groups. 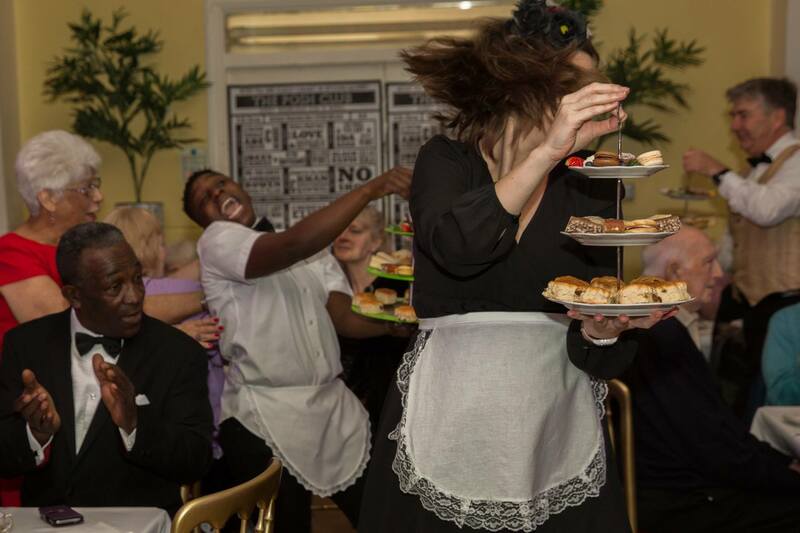 The Posh Club, Crawley – a weekly tea club for adults aged 65+ at risk of social isolation – styled as a tongue in cheek ‘posh’ 1940s high tea – with cabaret acts, waiters in black tie, vintage crockery, and an in-house pianist. The grant will help run the club, including hall hire for 16 weeks in the year, 5 weeks of core staff costs and 18 weeks of volunteer travel. Age UK Horsham – aims to reduce poverty, loneliness and isolation and improve health and well-being among older people in the Horsham District. Funding enables Age UK to make 200-250 home visits to offer advice and support to older people who may be vulnerable, housebound or unable to travel. Crawley, Horsham and Mid Sussex Home-Start – transforms the life chances of vulnerable local children and families, with trained volunteers providing emotional and practical support. Grant will go towards cost of delivering vital services for disadvantaged families with a child under 5 years. Crawley Community Youth Service – delivers sessions to over 300 young people each week helping to raise their aspirations and improve their general wellbeing. Award will go towards hiring someone to run weekly cookery sessions, buy equipment, ingredients and prepare take-home resources – to encourage both cooking and team work as they will also deliver community meals. East Grinstead Foodbank seeks to provide a minimum of three days emergency food for local people in need. Funding is to help meet key core costs of running the foodbank, including staff wages, rent and insurance of a warehouse. This entry was posted in Airports, Travel, Travel Services, Travelers and tagged Barry Gilbert, Becca Lundberg, charity, Foundation Fund, Gatwick, Melanie Wrightson, Sussex, vulnerable groups, young. Bookmark the permalink.